Currently, people are opting for independent jobs and remote work. In fact, it is becoming an option for people who do not want to make do with the typical corporate environment where you arrive early and leave late, only to get stuck in traffic before and after work too! It is for these reasons that many people have transformed their empty garage into modern offices. Once converted, the office will be used for their working either for personal business or even for freelance work. This blog post gives a concise description of how to transform your empty garage into a modern office. Before you make any major changes, you will need to make a planned makeover on your garage. For your garage to look like an office you will have to work on the concrete floor; mostly it is recommended that you use hardwood flooring. 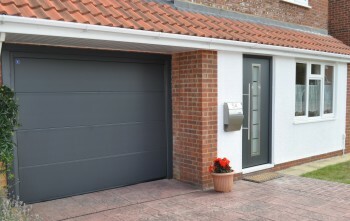 This will give your garage a completely new look and more of a homely feel as opposed to industrial. Many garages today, well nearly all of them, do not have an inbuilt window. One of the best ways to have an excellent working atmosphere is by having a window in your office to bring in heaps of fresh daylight. As an option and only if you really can afford it you can have a professional install a window or two on one of the walls. But then if you cannot afford this then you will have to make do with artificial lighting. Garages are always not designed for human beings to spend time in them. This means that there is a poor air conditioning system in it. Thus if you cannot do something about this, you will have a hard time during the summer and winter seasons. You will thus have to air condition your garage in summer or add a heater in winter, which is not ideal. Regardless of what you do about the heating, if your garage isn’t protected, it will constantly feel like a garage. Insulation of your garage might be one of the initial steps you’ll need to take. With an office, you’ll likely be storing lots of expensive equipment inside, such as laptops, hard drives, computers, printers and other forms of stationery. If that’s the case, it’s going to be extremely important to make sure your equipment is well protected. One of the best ways to guarantee your garage is difficult to break into is by installing a secure yet stylish garage door. Hormann doors are fine options. They are great looking inside and out, whilst they provide extreme strength and durability You can also go the extra mile by adding alarms and CCTV cameras, whilst automatic outdoor lights are a wise option too. These may not be the cheapest pieces of equipment, but they will keep your items safe and that’s going to be very reassuring in the long run.